It has bothered many people that they delete photos from iPhoto library or the iPhoto library disappeared regularly. However, if you know any of the following 4 ways, you’ll recover photos from iPhoto library on Mac or recover deleted photos from iPhoto on Mac easily. Let’s check them out now! 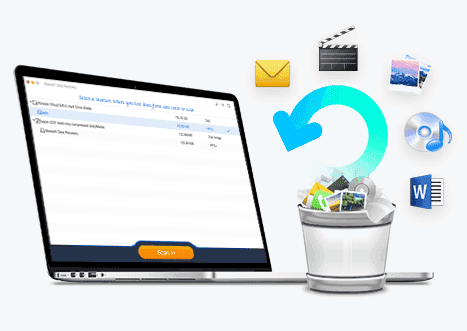 Recover more than 500 file types in videos, photos, audio files, documents, emails and more. Recover data lost in various scenarios, data deletion, emptying recycle bin, macOS crash/update, virus attack, etc. Fully compatible with almost all the macOS, no incompatibility issues. Quick Scan saves time and Deep Scan ensures a better iPhoto recovery result. Using iBeesoft Data Recovery to recover deleted photos on Mac in the iPhoto library will reduce the chance that you lose all the photos permanently. It is the first Aid you can make full use of. 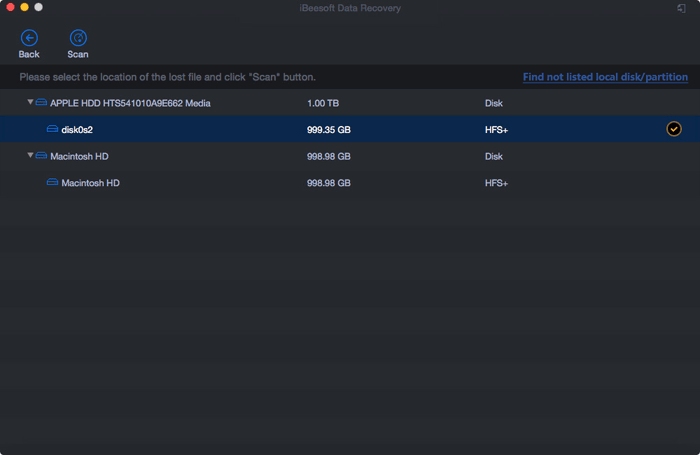 Here are the steps for how to use iPhoto recovery program to recover deleted photos from iPhoto on Mac. 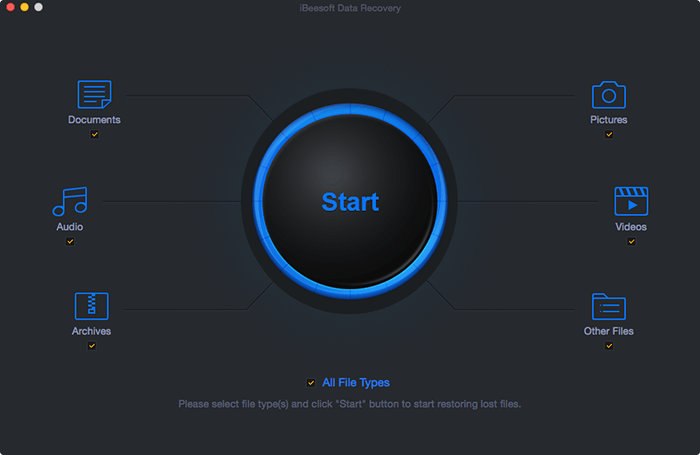 Step 1. click the download button to get the trial version of iBeesoft Data Recovery for Mac. Install it on your Mac like you install other types of software. The only difference is that It's not published on the App Store. But, it has the digital certificate issued by Apple, please feel free to use. Step 2. Launch the iPhoto Library recovery software. From the main window, only keep the "Pictures" selected and uncheck other types of file. It will save you time in scanning for deleted data. Click "Start". Step 3. In the next window, select the partition where your iPhoto library is and click "Scan". Step 4. It takes a while for the software to scan for all the deleted photos from iPhoto library. 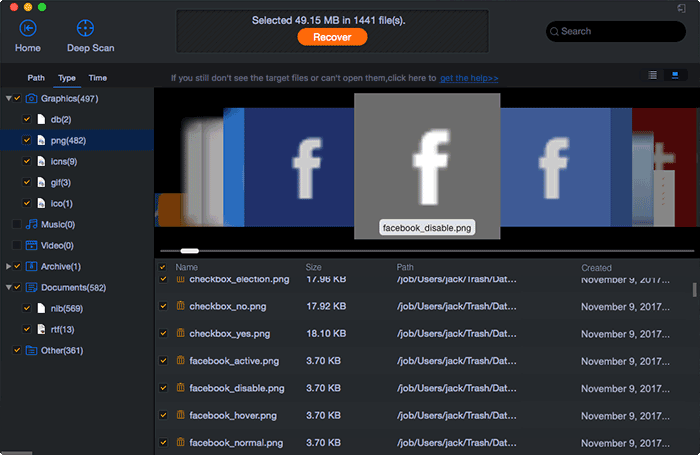 When it found them, select the needed photos and click "Recover" to save them on your Mac again. Way #1 is the best way to prevent iPhoto library data lost. You can also try your luck by using the following ways. Time Machine is offered by Apple officially as a way to restore deleted data on Mac. If you have Time Machine run before you deleted the iPhoto Library, then you can restore the deleted iPhoto Library with Time Machine. The only drawback is that it will overwrite the latest existing data on your Mac. 1. connect your Time Machine drive to your Mac. 2. In the Finder, click it and open your Pictures folder and select iPhoto library. 4. 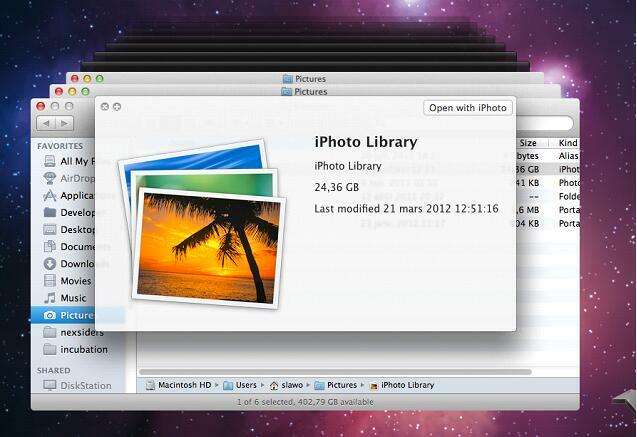 Navigate to the desired location on a hard drive to save iPhoto library. 5. Select the iPhoto library you want to recover and click on the Recover button. If you’ve used iPhoto for a long time, you must know that there is an option "Recently Deleted" in iPhoto library on Mac. Launch iPhoto, then click "Albums", you can see the "Recently Deleted" trash icon. You can click to open it, select photos to restore them. 1. "Recently Deleted" photos are kept there for only 40 days. If you’ve deleted the photos more than 40 days, you can’t get them back. 2. "Recently Deleted" only available for OS X Yosemite, El Capitan, and macOS Sierra. If you’re using other macOS, please try the “trash” icon on the left side panel. First Aid is developed for users to rebuilt iPhoto library. You can try it to recover the deleted iPhoto library. Step 1. Go to the Application folder on the Dock, find and select the iPhoto icon. Step 2. Press the Command + Option keys and double click on iPhoto icon. 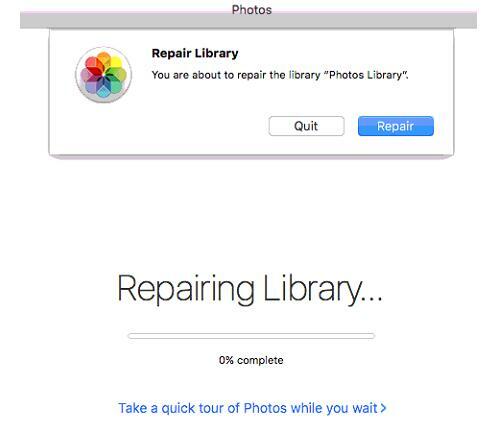 It will bring a window, asking you whether to repair the iPhoto library or not. Click "Repair" and confirm the action. When it completed, you can check out the iPhoto library.